Ralph Warren has been the Senior Pastor of Lake County Baptist Church for the past 18 years. He was the Pastor at Lifegate Baptist Church in West St. Louis County for 8 years prior to coming here. He has earned a degree in Laboratory Medicine, a Bachelor’s degree in Pastoral Theology, a Master’s degree in Education, and a Master’s degree in Exegetical Theology and a also Doctorate of Divinity in 2016 from Maranatha Baptist University. Pastor Warren teaches Bible to the 10th, 11th & 12th graders at LCBS. He has a great love for God’s work around the world and has taught in Bible colleges in Romania, Mexico, Venezuela, the Philippines, and Kenya. He has been married to Mrs. Ginny Warren for 39 years. She has a Master’s degree in Education, teaches at Lake County Baptist School and serves as our church pianist, Sunday School teacher, and nursery worker. Their children are both graduates of LCBS. John and his wife, Tiffany, have Master’s degrees and Pastor’s first grandchildren, Nathan and William. John is the head of a college music department. Amy has a Master’s degree and is the Vice-Principal at Lake County Baptist School and she actively ministers here at Lake County Baptist Church. Pastor Timothy Kowach came to Lake County Baptist Church in 1994, serving as the Youth Pastor. In 1998, he became the Associate Pastor and in 2001 additionally took on the role of School Administrator of Lake County Baptist School. 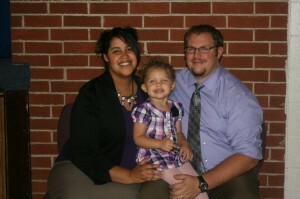 He has an earned Bachelor of Arts degree in Bible and is currently pursuing a Master’s degree in Educational Leadership. His wife Jennifer is a nurse and participates in several of the church programs, including the choir, children’s choir, and nursery ministries. They have two daughters, Kayla and Amber, who are currently enrolled in LCBS. Pastor Brian Steinbach joined our staff as Youth Pastor in the summer of 2014. Pastor Steinbach also teaches full-time at Lake County Baptist School. 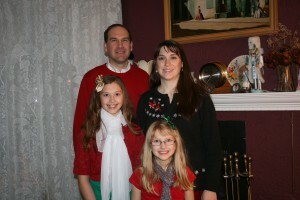 Pastor Steinbach has a Bachelor’s degree in Biblical Studies and is currently pursuing advanced studies. His wife Stacy has a degree in History Education and is also a teacher at Lake County Baptist School. 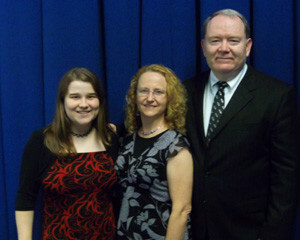 She is active in working with the youth group, singing in the choir, and helping with children’s ministries. They have a daughter, Anastasia, and a son, Elijah. We will reveal secret sisters at this time. If you participated, please bring a small gift for both your secret sister and for the one that has been praying for you. Childcare will be provided but you must sign up for it so we can plan enough coverage. There will be a donation box for the babysitters. There is a sign-up sheet at the back table for all attendees. Please purchase the book "Follow Me" by David Platt. The church will provide the potatoes and butter and drinks.